St. Charles, IL - July 26, 2018 - Steve Schaeffer and Holly Yeterian's Color Pearlz continued with their blue ribbon winning, earning the championship title on Thursday afternoon to finish out the High Performance/ Performance Hunter 3'6" division at Lamplight Equestrian Center. The pair took first place in the under saddle, as well as a first and second place ribbon in the over fences. Finishing just behind Schaeffer to take home the reserve championship was Phoebe Sheets and Capisce, owned by Cheryl Rubenstein LLC. 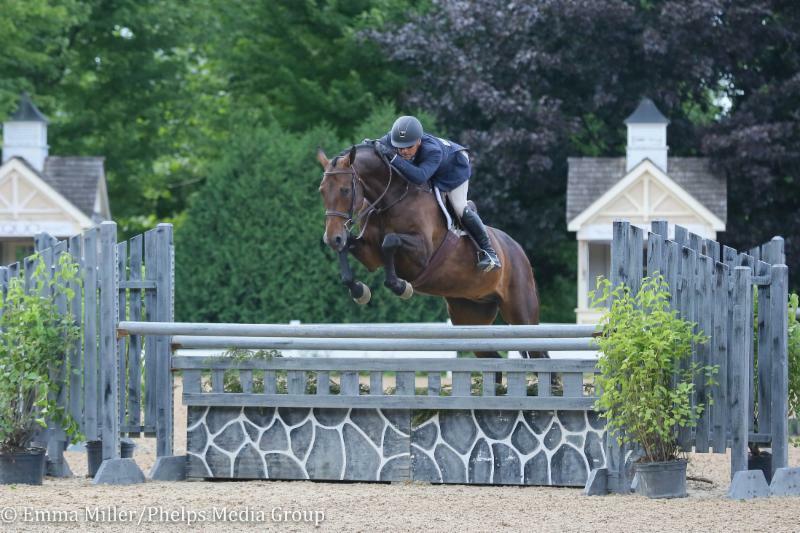 "She's a fabulous mare, I bought her for a client three years ago. We bought her as a great, athletic mare and quickly turned her into a hunter. We didn't buy her with the intention of having her here in the hunter ring, but we thought we had a hunter. Super scopey, I think she could be in the Welcome Grand Prix next door and do just fine. She's a blast to ride, I absolutely love riding her. It makes hunters fun again." "I loved the handy course. Being from the jumper ring, I like to turn so it was great fun. She's handling it all well. I used to mess up the trot jumps and canter them, but we got over that. She felt amazing today. I think we will put her in the derby tomorrow, let her owner ride and see how we do." "I'm so happy to be back, it's a great facility. It feels like home!"